POSITION SUMMARY TheController will be a part of ourPrivate Equity Division, leading the administration of various clients. The candidate will be an integral part of the STRAIT team, helping to drive client deliverables andinternal process efficiencies. This position provides leadership, autonomy, and significant growth opportunities. Team trips, outings, and lots of fun! 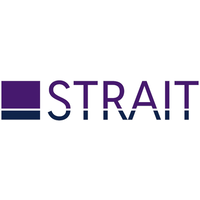 STRAIT is a professional services firm offering comprehensive accounting solutions for hedge funds, private equity firms, family offices and management companies. Services include full fund administration, compliance services, middle office operations, CFO suite services, investor services, and performance and risk reporting. Headquartered in Dallas, TX, STRAIT has clients nationwide and is backed by an industry leading team of CPAs, CFAs, JDs, and MBAs – no bookkeepers and no paraprofessionals.